Booklet 7. 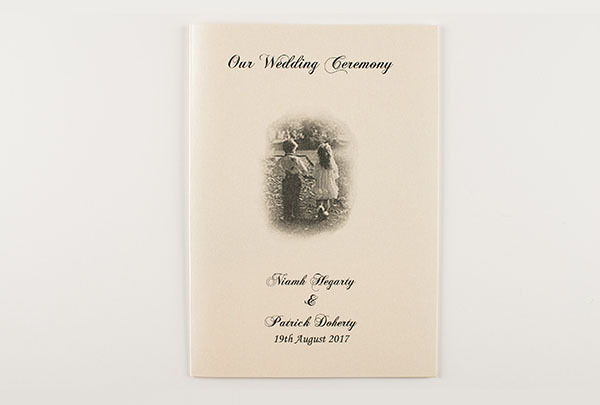 A beautiful ceremony booklet with the idyllic picture of the couple as two children holding hands. 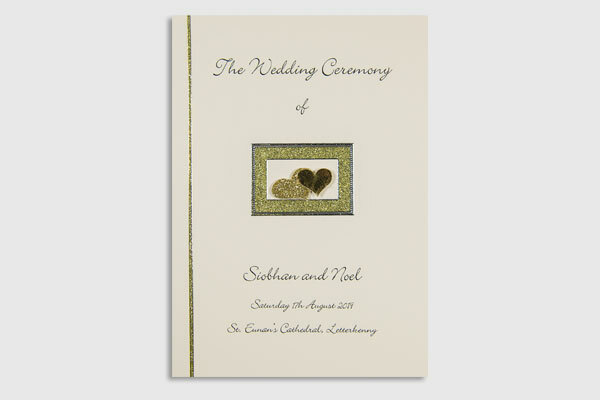 To purchase either a sample booklet or sample cover please select your options below. This price includes P&P.